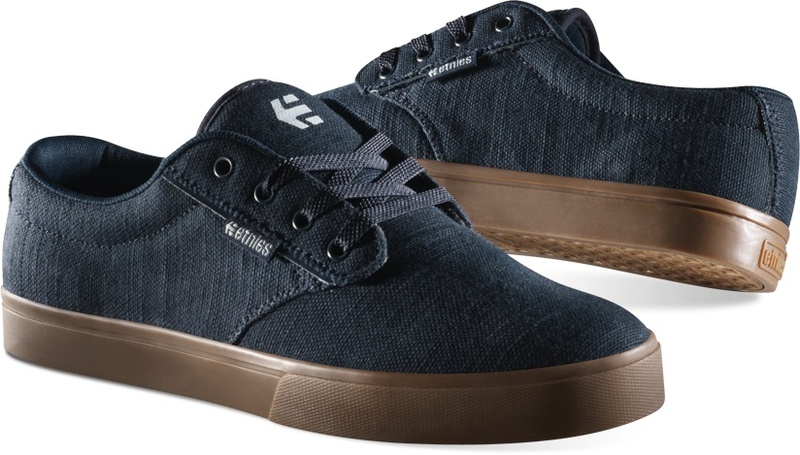 Etnies Jameson 2 Eco is the first Vegan skateboard shoe that we posted and it rounds out the first year of posts on the Vegan Skate Blog. A wide variety of color ways are available, all with a heavy duty canvas upper. Minimal padding in the tongue and collar for those that like to skate a low profile shoe. The PET laces are made from recycled plastic, the faux-vulcanized soles are actually cupsoles and contain 20% recycled rubber in the tread, and the footbed (under the sole insert) is real laminated cork! 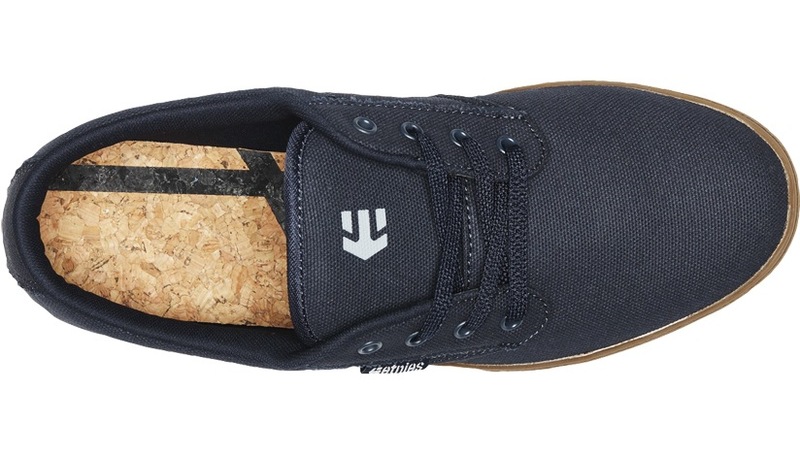 All making for good board feel and an eco-responsible shoe that Hardliners everywhere can be proud of. The Jameson 2 Eco quite possibly the most Vegan of all the options out there if not for the use of recycled and reclaimed materials, but for Etnies, Buy a Shoe Plant a Tree program. 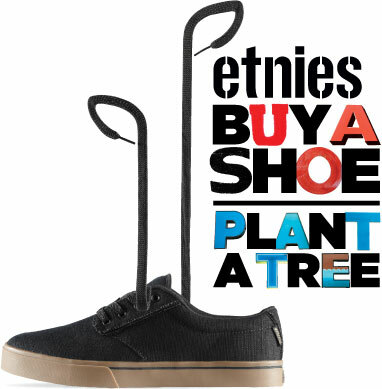 For every shoe purchased Etnies funds a tree to be planted by La Reserva Forest Foundation. La Reserva is healing rain forests that have been devastated by clear cutting for animal agriculture. They plant trees that create “eco-bridges.” Providing native species a way to thrive between larger wooded areas. If these came in synthetic suede or leather, they would be the only show I ever skate. The lack of any synthetic shoes in any of Sole Tech’s recent lines is a bit disappointing. What an awesome concept. I dream of a day when everything is eco-friendly.